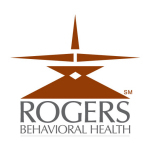 have all been named to vice president roles at Rogers Behavioral Health. Anne Ballentine has been named Vice President – Communications. reporter at several television stations including WTMJ-TV in Milwaukee. development of properties and facilities on behalf of the system. Kim Effertz has been named Vice President — Admission Services. has been in working in the Rogers’ admissions department since 1999.
recognized for its specialized psychiatry and addiction services. mental health challenges. For more information, visit www.rogershospital.org.